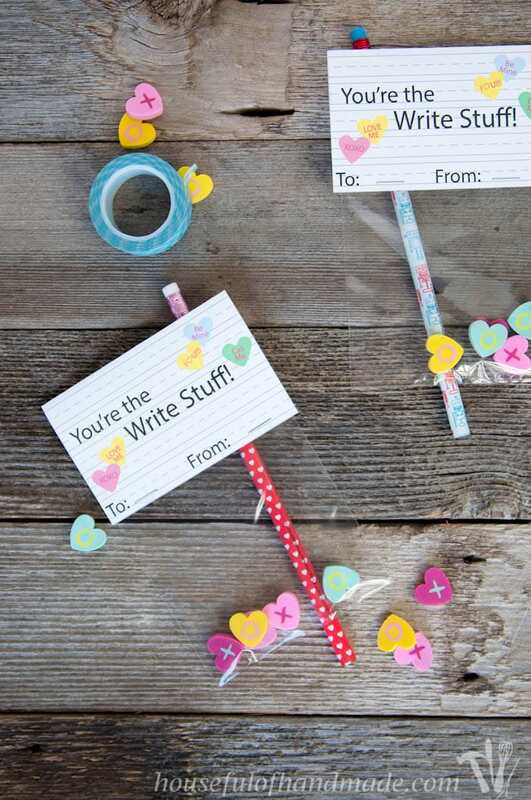 I’ve got one more kid’s valentine printable to share with you this year. I am trying really hard to stay on top of the holidays so I figured if I got one done, I should hurry and get the other one done. So here we are! 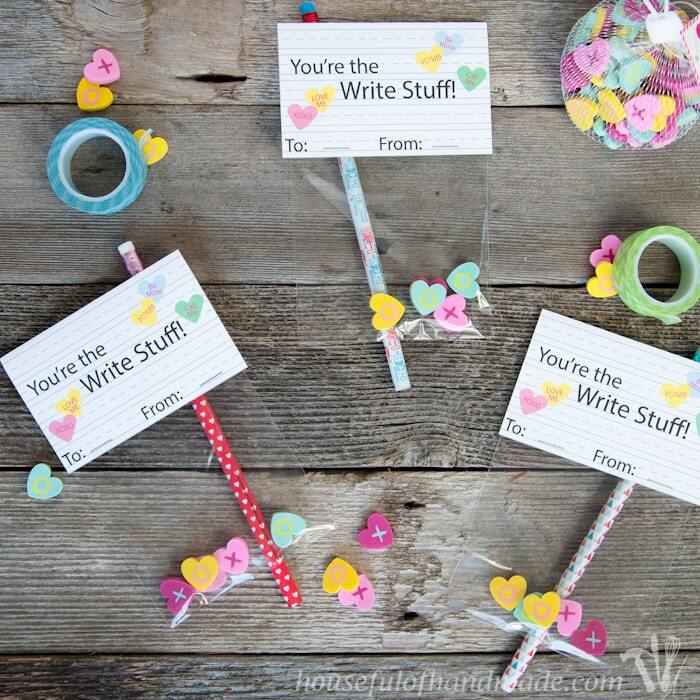 This time we created these free printable pencil valentines with cute little heart erasers for his class. My son is in 1st grade now. Man they grow up fast! I have been lucky enough to volunteer in his class for an hour every week. It is so much fun to get to know all his classmates. One thing I learned from my hours in class, first graders never have enough pencils and erasers. They seem to loose them or break them a lot! 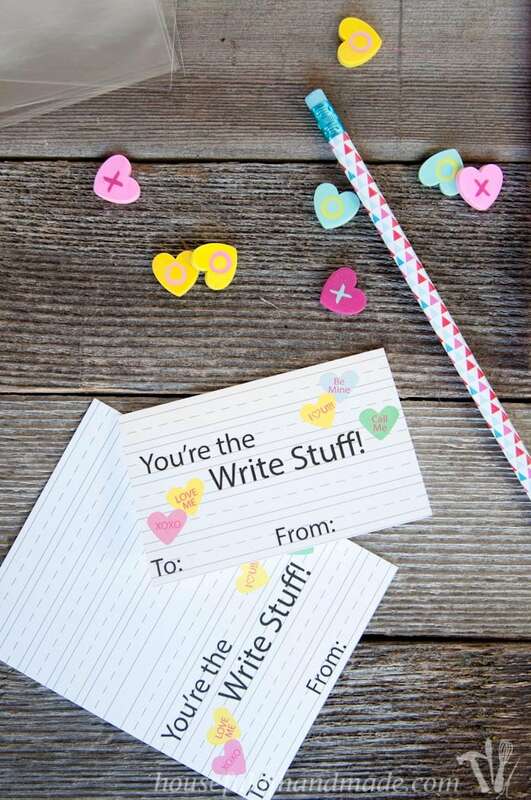 So when I found these adorable Valentine’s Day pencils and erasers in the Dollar Spot at Target I knew I needed to use them in his valentines. The erasers came in little bags of 60 erasers for $1 and the pencils were 10 for $1. So for $5 I had everything I needed (and a little extra) for his class of 22 students! 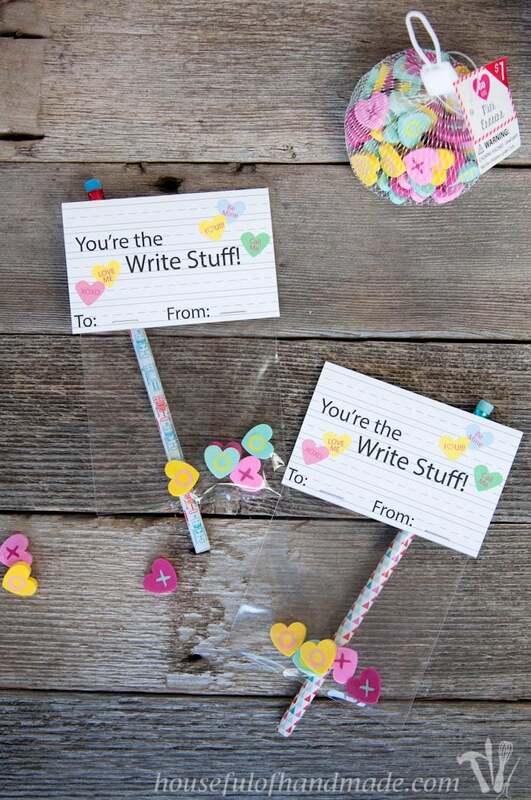 I’ve seen lots of adorable pencil valentines out there, but I wanted to do something that would hold 5 little heart erasers and a pencil. I had some small treat bags on hand left over from another project. The little erasers look so cute in the treat bag. So naturally I needed a topper to seal it up, and to hold the pencil as well. I spend a lot of time looking at the classic lined paper for grade schoolers, I am starting to think it looks cute. It’s crazy, I know, but I went with it and I think it turned out perfectly! And I’m really hoping the 1st graders get the connection. 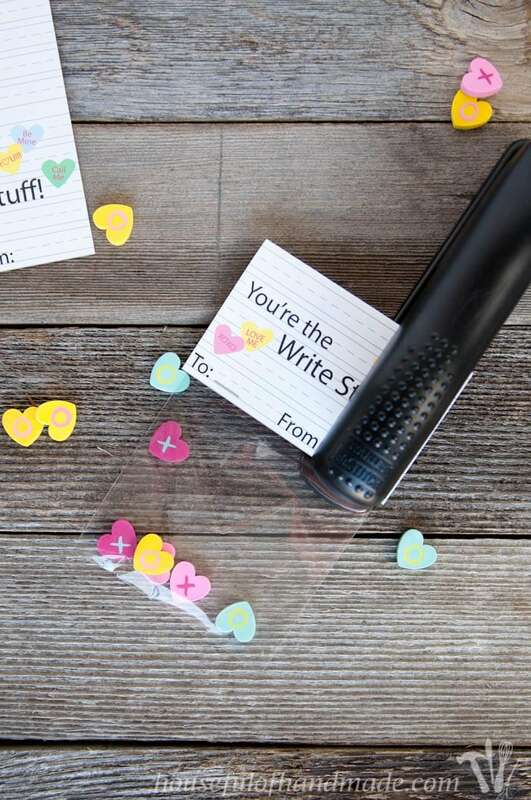 To assemble these easy pencil valentines, you will need to print out the toppers (there are 4 per page) and cut them out. Fold the toppers in half. 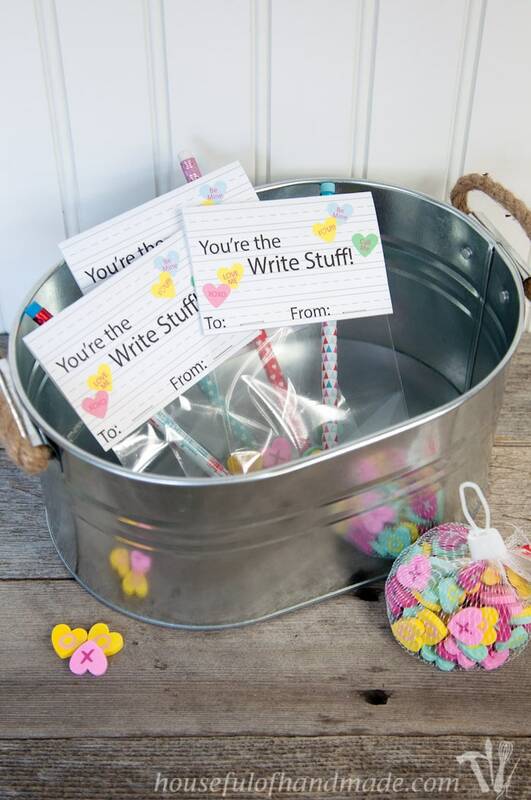 After you’ve added the erasers into the treat bags, slide the bag inside the folded topper until it touches the top. Staple it together with a couple staples at the bottom of the topper. I secured a pencil to the back of the topper with a strip of brightly colored washi tape. 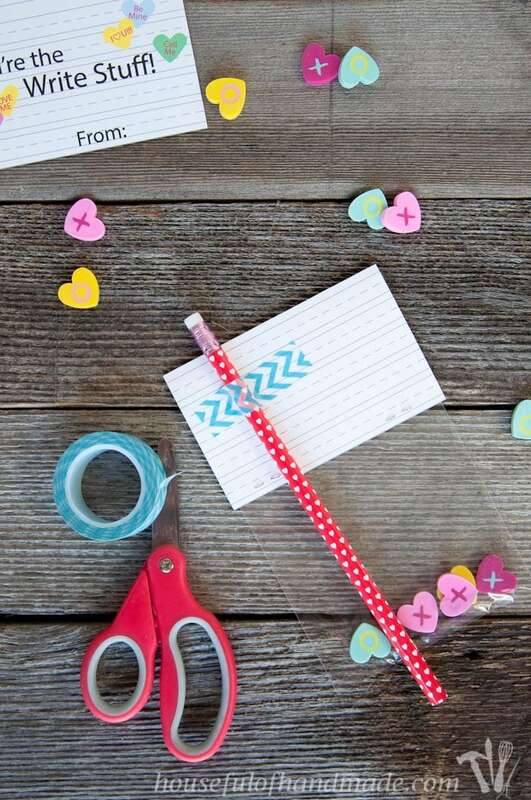 They are so easy to assemble my son can make all his valentines with minimal supervision (I just have to keep him on track or he will end up playing zombies with the pencils and the erasers will become explosives to kill them and then I will have to pick up little erasers and pencils all over the dining room!). I just love how they turned out! So bright and fun, and not too girly so my son is happy giving them out. I just love celebrating Valentine’s Day with the kids. It’s so much fun! Now we are all ready for the big day at school since we did Lilie’s monkey valentines a couple days ago! This week I may even get some time to do some fun crafts to get the house decorated too! 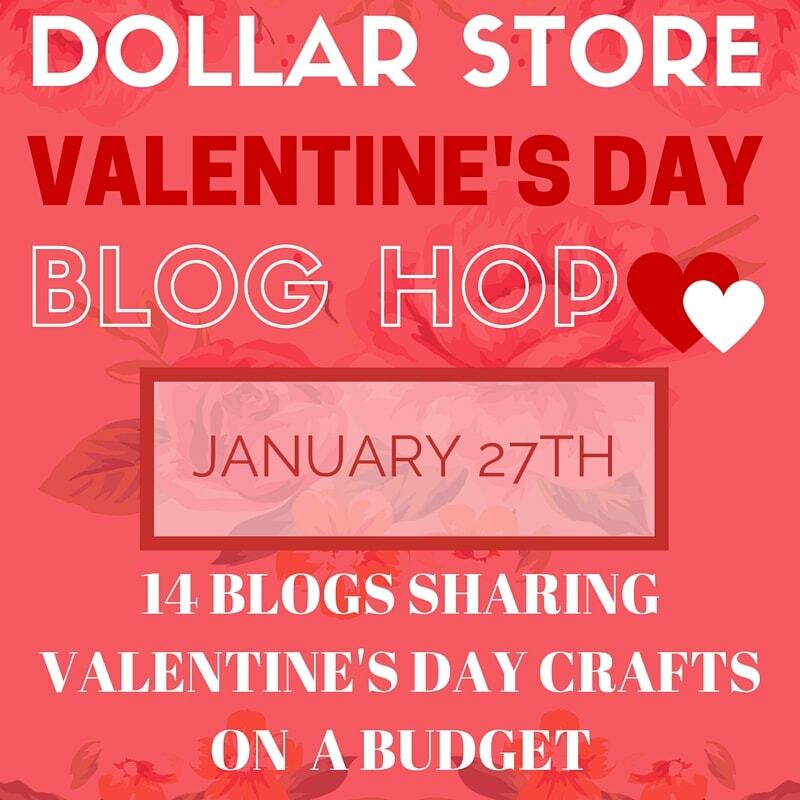 Join me on January 27 when I will be teaming up with 13 other bloggers to share amazing dollar store Valentine’s Day crafts! Super cute! Thanks for the freebie and for sharing at my craft party! Hope you will come back next Thursday at 7pm EST.! Yeah, I am so excited you are featuring it 🙂 I love to party with you every Friday! This is adorable!! Pinning this idea, thanks for sharing. These are so cute! I wish we had a Target near me! They always have such great stuff in their Dollar spot bins! Super cute! I am addicted to Target’s dollar spot!!! I’m glad I’m not the only one! I go in for one thing, and leave with $25 in stuff from the dollar spot! 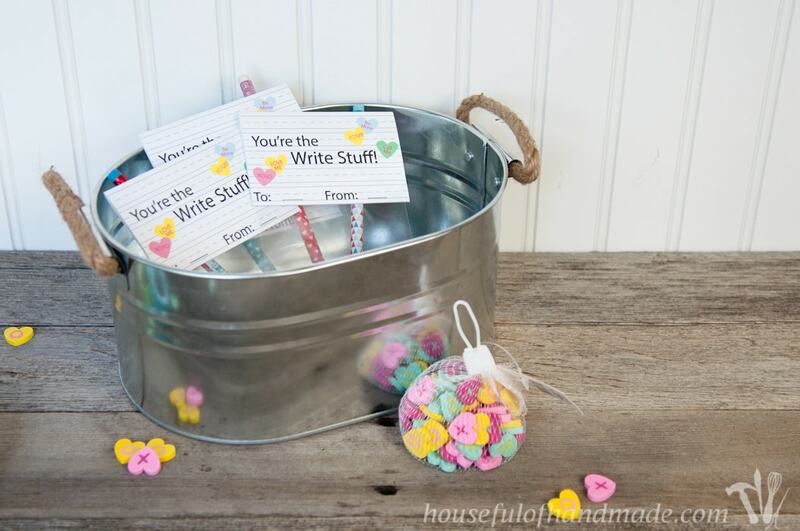 Super cute idea for Kids’ Valentine Treat bags! Love it! 🙂 Pinning! 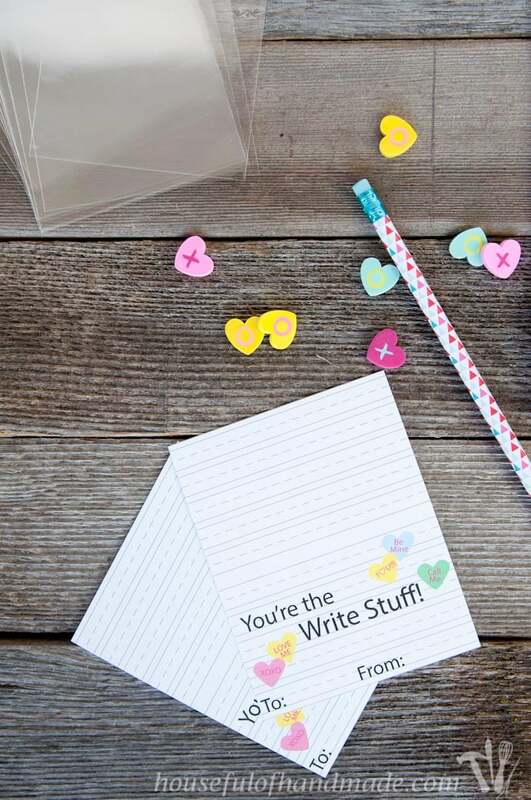 You are never too old to exchange valentines… I’m sure you can find someone to give them too 🙂 Or just make some up for yourself!